As Daily Rind readers, you probably already know that YouTube is one of the primary pillars of today’s music industry. In recent years, YouTube has become even more of a global hub for music and it’s easy to see why: you can quickly hop between official releases, fan uploads, reaction videos, choreography videos, and much more, all on one platform. 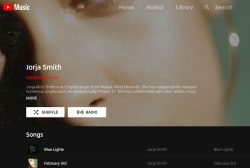 With the new and improved YouTube Music app, the video giant aims to bring its sheer versatility into harmony with the ease of access of on-demand streaming, ensuring that users can watch and listen to all their favorite videos, albums, and EPs in one place. What is YouTube Music, you ask? YouTube Music is a streaming service that has an ad-supported tier as well as two paid subscription options: YouTube Music Premium and YouTube Premium. With YouTube Music Premium, subscribers pay $9.99 a month to stream all the music they want ad-free, store it in playlists, and save it to their phones to listen offline and on background-mode on their mobile device. YouTube Premium (formerly known as YouTube Red) costs $11.99 a month and provides users with an ad-free experience across all content on YouTube as well as everything YouTube Music Premium has to offer, plus access to YouTube Originals. You can subscribe at https://music.youtube.com or download the app on iOS or Google Play. If you’re a Google Play Music subscriber, you have already been given a subscription to YouTube Music Premium and much of the interface of both the web and the mobile app will be familiar to you. 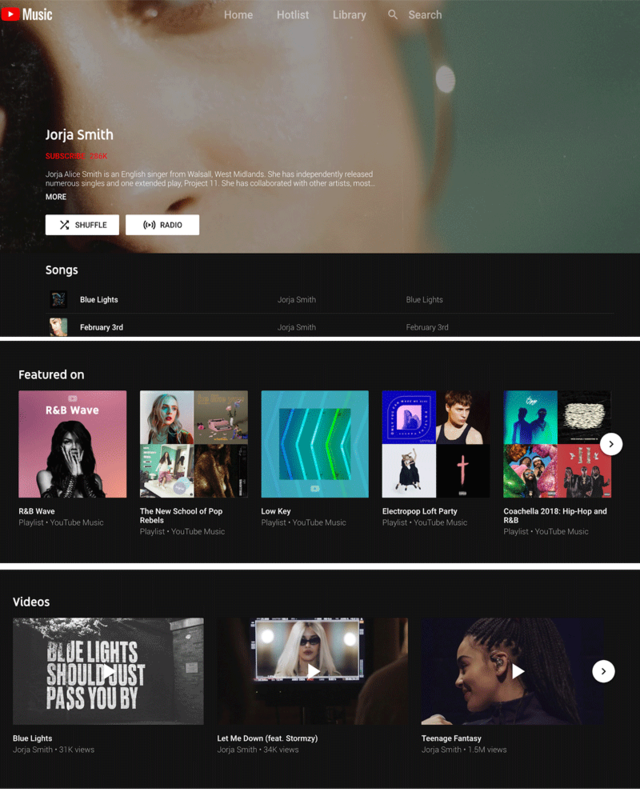 As you might expect, one of the factors that sets YouTube Music apart is its integration of video, as artists’ music videos are catalogued alongside their albums and singles. A few other unique features of the app include the ability to watch official music videos and switch any video to an “audio only” mode (perfect for when you want to save data or listen to the audio of a live performance on the go), personalized playlists based on your listening history, where you are, and what you’re doing, and description-based search, i.e. if you don’t know exactly what you’re looking for, you can type in lyrics or song descriptions and YouTube will find it for you! You can expect YouTube to continue to expand upon these features as it rolls out in additional countries (available now in 17 countries). As of now, nothing for labels or creators will change. You can still upload content to your channel directly, and it will automatically be included in YouTube Music. 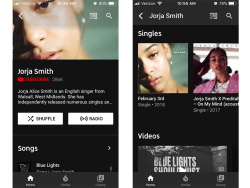 Official music videos, artist profiles, and albums will be prioritized in search results, but anything considered to be music content will be available on the service. Keep an eye out for updates on The Daily Rind and for communications from your label manager regarding any future changes to the service.